87.5% natural content. Dermatologically tested. pH neutral. 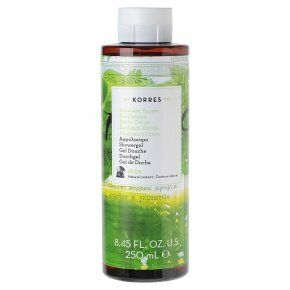 Suitable for vegetarians / vegans.A green spice of dazzling freshness with a vibrant lemon zest touch Creamy-foam showergel with wheat proteins and Althea extract, helps maintain skin's natural moisture levels. Formula free of mineral oil, petrolatum/paraffin wax, silicones, parabens, propylene glycol, ethanolamines, PEG, ALES, synthetic dye, phthalates, polycyclic musks, retinol, animal by-products.